The app has a simple interface that allows any user with visual impairment to order a taxi, track its approach, contact the driver, and/or pay for the taxi in a very intuitive way. It has numerous advantages. From within the app, the user sees the registration number of the taxi, receives notification of its arrival, and can contact the driver by phone or message. After setting up a payment method, the journey can be paid for directly through the app. This app is very simple to operate for all users, and requires little learning time. It is therefore recommended to different user profiles with any type of visual impairment. 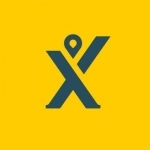 A taxi booking app recommended for people with visual impairment. Thanks to advanced technology, the app facilitates independent mobility and helps eliminate everyday obstacles for the blind and visually-impaired. Very intuitive to use, a taxi can be ordered at the desired location with minimal clicks. This is one of the most accessible apps for screen-reader users in the field of public transport. Its accessibility works better on iOS platforms and it can be used after only a few minute’s study. It is recommended both for low-vision and totally-blind users, although those with low vision may need it to be complemented with other accessibility features from the operating system. Although it is easy to use, it is not recommended for those with very limited technological skills. This app is integrated into your town’s transport system and it enables you to obtain all the timetables, stops and routes on your mobile with very exact and precise information. 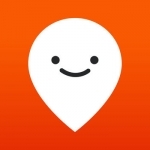 Moovit has a large database containing cities from all around the world and each city may be switched easily. The instructions it provides combine all the public transport options in a single app.